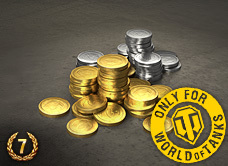 German Premium tanks from Tier II-VIII are on discount now! Lots of high-performing tanks can be found on the German tech tree. 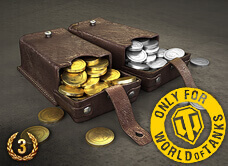 The premium versions are exellent choices for building up credits and EXP while you decide which Tier Xs you wish to unlock. Many opponents will run for cover when they see a 8,8 cm Pak 43 Jagdtiger. Its rounds can penetrate armours that are 152-252 mm thick. Not to mention, it has a high rate of fire. High accuracy also allows you to take down enemies easily by attacking weak spots. This TD can deal 180-300 HP of damage. Although the Jagdtiger is powerful, it is extremely slow and has weak armour in the sides and rear. Use this for sniper roles and find good hiding spots to avoid detection. Long-range strategies are your best bets. Better yet, find a good team that can protect your sides. The Pz.Kpfw. IV Schmalturm is a premium tier 6 medium tank from the German tech tree. Tankers enjoy this vehicle for its accurate gun. Great penetration abilities allow shots from this tank to penetrate armour of 113-188mm. With high accuracy, a good RoF, and penetrating capabilities, this tank makes one fearsome sniper! Just make sure you have your weak hull armour covered while around enemy tanks. To stay alive, keep your weak spots protected or support your team with firepower from afar. The PzKpfw S35 739 (f) is a German tier 3 premium medium tank. A mobile tank with good manoeuvrability and acceleration. It has good hit points and a decent gun for its tier and will have no problems facing lower-tier tanks. The tank has a high rate of fire is capable of delivering a lot of damage. 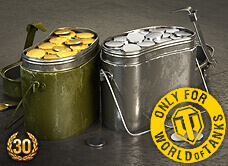 Other plus points are a large ammo capacity and a good signal range. Its size, however does make it vulnerable to incoming fire from the sides, therefore, it is recommended to always have the front face the enemy in order to minimise the damage received and provide a smaller target for your enemy to shoot. As it has weak armour, it's always a good idea to team up with a group and support them with flanking shots. Something great about the T-15 is that it has the agility to drive circles around enemy tanks. This tier 3 German light tank also has good HP for its tier. It also makes a good scout with an excellent view range. Although its gun is decent against tanks of the same tier, it will not deal much damage to higher tiers. So take advantage of the T-15's speed and aim for weak spots. The Dicker Max is a German tier VI tank destroyer. It works like a deadly secret agent - lurking in high places and waiting to ambush unsuspecting foes behind all corners. This tank dishes out high alpha damage and can penetrate armour of 127-211mm. It has a fairly accurate gun too. Like all other tanks, keep the D. Max's strengths and weaknesses in mind. The D. Max has extremely weak armour, so make full use of its 400m view range, work with allied scouts and enjoy giving enemies a couple of smokes. Just remember to stay hidden and to move often so your shots don't give away your position. The T-25 is a tier 5 premium medium tank which hails from Germany. As it was designed as a successor to the PzKpfw 38 (t) and PzKpfw 38 nA, you'll find some similarities in its profile but with a larger build with sloped armour and a forward rather than a centre mounted turret. Its speed makes up for its sub-par armour and its capable of hitting a top speed of 60km/h, making this tank an excellent candidate for breaching enemy lines and supporting positions in a flash. It has good accuracy and a high rate of fire which allows it to take out lower tier tanks swiftly but it lacks the manoeuvrability of a light tank and can encounter some trouble against frontal armours of stronger tanks. Nevertheless, this machine will be a valuable asset to any player's arsenal.